The population in Charlotte, North Carolina is thriving now more than ever. As bigger cities become saturated and overpriced, there are those looking towards slightly smaller metropolitan areas that still boast all of the desirable aspects of city life, without the lofty price tag. From the economy to the weather, Charlotte has it all! Charlotte, North Carolina, is consistently ranked by Forbes as one of the best places in the U.S. for people 55 or older to retire. Charlotte is also ranked #4 in “Hottest Real Estate Markets” by WCNC. With over 58.6 million baby boomers retiring between 2010 and 2030, the need to find desirable retirement locations is on the rise. It’s easy to understand why Charlotte is ideal, as it has several dining, recreational and healthcare opportunities, and there are also several top senior communities to choose from. The Charlotte area is filled with elderly care facilities, fitness centers and magnet hospitals, making it possible to find medical specialists for anything that you might need. Charlotte also ranks higher than the U.S. average for water quality and physicians per capita. To make things even better, the average health cost is almost 5% lower than the majority of the nation. In other words, you could be able to easily have your medical needs attended to without the concern of exorbitant fees. Assisted living in Charlotte, NC provides a safe environment that frees you from some responsibilities you may need assistance with, allowing you to focus on those activities that bring you the most joy. If you want relief from certain daily chores in order to maintain your activity level, assisted living is a great option. There are currently over twenty 55+ adult living communities for retirees to choose from in Charlotte. As boutique gyms have started to sprout throughout the country, Charlotte has seen an explosion of fitness clubs offering more personalized and niche workouts. In Charlotte, the arrival of specialized gyms has brought classes such as Flywheel, a group cycling brand started in New York City, and Xtend Barre, a Pilates-ballet hybrid that began in 2008. Whether you seek a yoga, cycling, barre or boxing club, Charlotte has a gym for you! Magnet status is the highest credential for nursing practices across the world. In Charlotte, there are several local hospitals that are under magnet status, such as Carolinas Medical Center and Novant Health. Having these Magnet designations can help retirees feel confident when seeking the medical attention they need, as they have access to the highest possible quality of care! In Charlotte, there are plenty of outstanding neighborhoods that provide all of the essentials for those looking to retire. 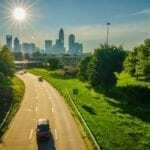 Along with having one of the most vibrant economies, there are currently over twenty 55+ adult living communities for retirees to choose from in Charlotte. Charlotte is known for being a “new” city, but it doesn’t go without its fair share of history. Dilworth is the most historic area you’ll find in Charlotte. Here you will find plenty of charming bungalows, locally owned shops and delightful dining. This quaint community is the best place for those looking to retire in the suburbs of Charlotte, North Carolina. NoDa is where the trendy and artsy meet because NoDa is an eclectic neighborhood. It is named after North Davidson, the street around which the neighborhood is centered. With tons of local art, breweries and shopping options, it is an area of Charlotte that can’t be missed. Charlotte retirees love living in NoDa because it is the perfect place to find something to do at any hour. Uptown is the heart of Charlotte’s business community and attracts consumers of all ages. For residents, Uptown Charlotte is an exciting, vibrant place to live and work that provides easy access to all the amenities of a big city. It’s close proximity to sports stadiums and fine dining makes it a prime location for retirees. Whether you enjoy museums or concerts, shopping or relaxing at a coffee shop, you’ll find something to suit your fancy in Uptown. When it comes to climate, Charlotte offers the best of both worlds. The weather can be described as moderate and pleasant. In the spring and summer, the weather will draw you outdoors. While the falls and winters are mild, giving you cool weather without the hassle of heavy snow. In Charlotte, the winters are slightly mild with only handfuls of blustery weather each season. Coats, jackets and sweaters are a must-have during this season, although some days you may be able to get by with a simple long sleeve tee. For those days that dip to freezing, grab scarves and gloves. In Charlotte, the spring is time to enjoy the outdoors. Aside from March showers, expect rising temperatures and clear, sunny spring days. Charlotteans flock to the sunshine on these occasions, so be sure to join them by wearing versatile clothing options that can handle the temperature peaks in this unexpected season. Outdoor activities are also ramping up during this time, so whether you enjoy walking around in the city or enjoying one of the Food Truck Friday spots, there is always something to do! In Charlotte, the sweet summer weather encourages locals and visitors to get out and explore. July and August can get exceptionally hot and hit an upwards of 90 degrees, so you’ll be thankful for light summer dresses, sandals, sunglasses and more. From foodie expeditions to fun in the water and everything in between, you’re sure to find something to do in Charlotte! In Charlotte, the autumn months are a much-needed break from the summer heat. These comfortable temperatures stick around throughout the season and encourage people to get outside.This lovely weather ensures that fans are able to grill out, socialize and get fired up for the big game! For many visitors, the love affair with Charlotte starts with the stomach. Where to begin? This city has about 2,068 restaurants, bars and coffee shops. With a combination of new, trendy restaurants in the hot Charlotte neighborhoods and the classic old-school favorites that have been around for ages, the Queen City is becoming a spot you won’t want to miss. In Charlotte, the local food, bar and coffee shop scene is entirely unique. Local restaurants such as Cabo Fish Taco, Cowfish and Viva Chicken are all affordable, yet, insanely delicious. If you enjoy a casual night out, indulging in yummy drinks and finger foods, bars such as The Summit Room, Dogwood and Duckworth’s Grill & Taphouse will be your go-to’s! Lastly, Charlotte has a slew of independent artisans making astonishing coffee. Places such as Central Coffee and Mugs Coffee provide aesthetically pleasing views, while also serving fresh coffee. According to Charlotte Magazine, Not Just Coffee was awarded “Best Latte Art” in 2013 and “Best Coffee” in 2015. At Not Just Coffee, the baristas are skilled and knowledgeable, but they won’t condescend if you don’t know the difference between an espresso and a macchiato. If you just want a cup of black coffee, they can do that, too! 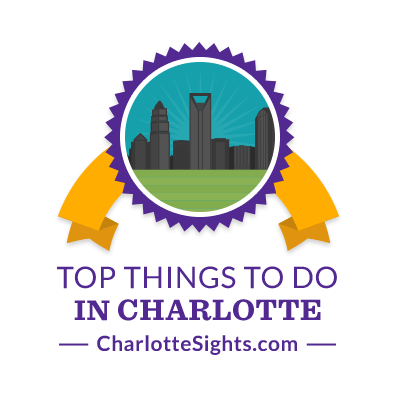 These places have relaxing atmospheres and are perfect to explore if your looking to retire in Charlotte. The Charlotte area is home to dozens of local breweries. Breweries such as Sycamore, OMB and NoDa Brewing Company are among the most popular. These places provide quality craft beers, outside seating, live music and even tours of their establishments. Perfect for when you want to grab a beer with friends or spend a weekend evening with family! Founded in 1914, Johnson & Wales University is a private, nonprofit, accredited institution with a location in Charlotte, NC. The university offers degree programs in arts and sciences, business, culinary arts, education, nutrition, hospitality, physician assistant studies, engineering and design. Culinary students from the university are often employed by local restaurants, making the Queen City’s cuisine unbeatable! Charlotte has several museums and galleries in the downtown area, and residents have easy access to live theater. Sports enthusiasts can enjoy a game at one of Charlotte’s professional stadiums, and individuals who enjoy spending time in the great outdoors will love the area’s many parks, trails and hiking opportunities. Residents who prefer shopping in unique boutiques and trying new fine dining experiences will also find plenty of options to help them happily spend their free time. Nine professional and semi-professional sports teams call Charlotte home, including the NFL’s Carolina Panthers and the NBA’s Charlotte Hornets. Other sports you can find in the Queen City are hockey, baseball, lacrosse, indoor lacrosse, soccer, women’s soccer, and indoor football, there’s a little something for everyone. Whether you enjoy watching a game at home or with friends, Charlotte has endless options. Charlotte also is home to 18 museums as well as 16 theaters and centers for performing arts. Places such as The Mint Museum and The Bechtler Museum of Modern Art, provide transformative experiences through art from around the world via innovative collections, ground-breaking exhibitions, riveting educational programs, and profound scholarships. On the other hand, if you would rather catch your favorite flick and grab a bite to eat, Studio Movie Grill and Ayrsley Cinemas, are packed with fun for all ages. And if you’ve done all of these things, the Charlotte Douglas International Airport is the largest hub for US Airways. This airport services 175 domestic and international destinations. It’s the 11th-busiest airport in the United States (based on traffic movements), making it easier to fly to and from Charlotte. They are also well known for their comfy rocking chairs that are provided in the main hall, which ensure a relaxing layover. It’s the perfect airport for traveling! As you can see, the Queen City has many fantastic attributes. From quality healthcare to charming neighborhoods, beautiful weather, delicious foods and a popular airport, there is always something different to keep you entertained. Whether you’re attending sporting events, museums or theaters, this all-in-one city, is hands down the best place to enjoy your retirement!